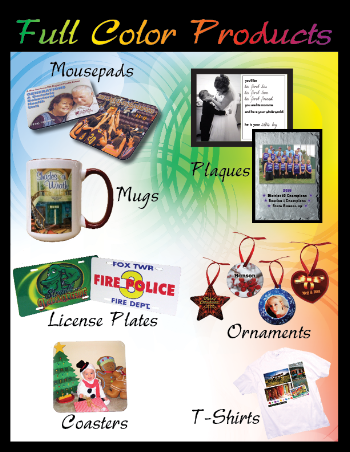 Sublimation is the process where we take an image printed on paper and transfer it to another surface (or substrate). Unlike conventional inks, (like screen printing) where you can feel and see the ink surface, sublimation inks are converted directly bonding with the fibers permanently imprinting the surface. We have found this process provides a cleaner image and since it is embedded with the transfer material will last a life time. Give sublimation a try. You won't be disappointed. Contact us by filling out the form below or give us a call at 814-834-1000.